Complete the questions below to have your deed prepared for you. We will contact you after your order for additional information for your specific property. This is the person(s) or entity who will be signing the deed. Is the property the homestead of the current owner or grantor? You selected other in the question above. Who owns the property now? This would be the name(s) of the current owners of the property as reflected on the deed exactly how it appears on the deed of record. What is the State of Incorporation or formation if you selected Corporation or LLC. Are the Grantor (Owner) and Grantee (person to receive property) related? If you have the book and page or recording information of the deed where the seller or grantor received the property please provide it. How will the Grantee receive title. If you do not know we can address later. Will consideration (money) be paid by Grantee (person to receive property)? You have authorized USLegal, Inc. and USDeeds with its associated attorneys to prepare a deed and supporting documents required for recording the deed. If you requested filing services the deed will also be recorded on your behalf. This service is limited to the preparation of the deed based on the information you provide and the service will end when the deed is prepared and sent to you or recorded if you ordered that service. Please contact us if you should you have any questions. There are many types of deeds used across the Country. Warranty Deed, Grant Deed, Quit Claim Deed, Lady Bird or Enhanced Life Estate Deed and more. Use the tabs to learn more. Deed forms are the essential legal document used to transfer real property. Real estate is just another word for property, and it has its own language as well. Buyers and sellers become grantors and grantees. Each property transaction requires a real estate deed document. Regardless of the type of property deed, it becomes part of the public records, and property records remain attached to the real estate as a historical document showing who has owned it over time. Any time you transfer title, a new property deed must be officially recorded. The seller (grantor) and the buyer (grantee) can be individuals, corporations, or other entities. The appropriate description is accurately detailed in the deed document. The grantor must meet legal requirements, which vary from area to area. The typical requirements are that the person is competent to make the deal. Also, the deed must be signed by the grantor. Let’s take a look at the types of such documents that you might encounter in a real estate transaction. These are all forms of real estate deeds. The choice of the proper document depends on the type of real estate transaction. A grant deed provides two guarantees. One is that the seller (grantor) states that the property has not been sold to anyone else. The other is that the grantor warrants (promises) that the property title has no encumbrances other than those already revealed to the buyer (grantee). Typical information in the grant deed includes a granting clause, which transfers the title from the grantor to the grantee, the names of the grantor and the grantee, and details of the property being transferred. A general warranty deed, which is similar to a grant deed. There is one major difference and that is, warranty deeds have a third guarantee. The third guarantee is that the title is free of any defects, even if a previous owner caused the defect. Depending on state law, a phrase such as “conveys and warrants” is included. These are considered operative words of conveyance. A “Lady Bird” or “Enhanced Life Estate” deed is a deed that takes effect upon the death of the grantor. It is being used today to convey property at the death of a parent to children. A special warranty deed is a variation on this type of deed and it only warrants what is specifically written in the deed. It is sometimes called a limited warranty deed and can be compared to a quitclaim deed. It is usually reserved for use by entities wishing to avoid the potential hassle of relying on a general warranty deed. It conveys and specially warrants certain details. Quitclaim deeds are another type. It is sometimes mistakenly called a quick claim deed. Specifically designed to convey any interest that the grantor might have in the property, quitclaim deeds are often used when a couple divorces and one party wants to deed the property to the other partner. In a divorce, one spouse sells the property and the other spouse signs a quit claim deed so that the buyer never has to worry about a dispute that emerges after the divorce is final. A quitclaim deed exactly what it sounds like. It allows a potential grantor to assure the grantee that he or she has quits any claim on the property. The operative words of conveyance are along the lines of “convey and quit claim”. There are special circumstances when other real estate deeds are necessary. For instance, if the real estate transaction involves property with unpaid taxes, a tax deed is usually required to clarify and indemnify the conveyance of the title to the buyer. If a family member wants to transfer property to another member of the family, a gift deed might be needed. This assures the grantee that the property is his or hers even if no money has exchanged hands. A deed in lieu of foreclosure is used for circumstances where the grantor is on the brink of losing his or her property in bankruptcy and chooses to deed the property to a grantee instead of having it foreclosed upon. A fiduciary deed is executed by a fiduciary. This happens when a trustee is appointed to deal with the property. An example would be when the property belongs to a minor and a guardian is appointed to handle legal matters until the property owner is of age. A security deed replaces a mortgage and is used when the owner borrows against the property and the lender requires an interest in the property. The owner keeps using the property but the lender has title to it until the loan is repaid. A release deed or a deed of reconveyance is held by a trustee under a deed of trust loan and when the loan is repaid, it releases (or conveys) the deed back to the grantor. All you need to know is that any time you make a change in your real estate status, you need a real estate deed of one type or the other for the transaction to be valid. Deeds are needed even if you are not buying or selling property. If you add or delete a name from the title, you need a new deed. However, you cannot just delete a name from a deed without that person’s permission. They have to agree to be removed from the deed, sign the deed, and have their signature notarized. If you want to sign your land over to your children, you need a property deed. Any change at all in ownership or status requires legal documentation (just another name for a deed). Of course, once you sign a deed, you have to file the deed with the authorities. Usually this means having it recorded at the County Recorder’s office or with the Recorder of Deeds. This action is referred to as the transfer or the conveyance of the deed and it takes place once the grantee accepts the conditions and the grantor signs the document and has it notarized. You don’t need to hire a lawyer to help you through the steps of conveying real property. All the tiny details can confound you if you try to do it on your own without the proper form. Sometimes there are nuances such as joint tenants with rights or tenants in common. These might sound like the same thing but they are not. Then there are variations such as rights of survivorship. The information you provide must be accurately described when recording in the public records and the steps you take must be done properly. Therefore, it is essential that you select the right kind of deed for transferring your property. This is a deed used to place property in the name of children or others upon the death of a parent. How do I add a name to a property deeds title? A property transfer may be made using a new quitclaim or warranty deed. The grantor or grantors will sign deed with the names of the current owner(s) to themselves plus the new owner, either as a joint tenants or tenants in common. After it is notarized and recording requirements are followed, the new owner will now have an interest in the property. This is used by a fiduciary, such as a trustee, to transfer property to another, such as from a trust or under a trust deed or deed of trust. Do deeds have to be notarized? Yes, the grantor will sign the deed form in front of a notary so that it may be notarized at the same time. This is a legal recording requirement for land title transfer deeds, whether a deed of trust form, quitclaim, deed in lieu, fiduciary deed, or other type is used. What property deed forms do you offer? We have all the blank transfer deed forms used to transfer real property title, such as quitclaim deeds, grant deeds, warranty deeds, deed in lieu of foreclosure forms, deeds of trust forms, fiduciary deed, and many more land deed forms. All of our blank deed form templates are professionally drafted to comply with the law where the land is situated. Free sample deed forms are available for preview. It’s important to use a quality transfer of deed form in the sale or transfer of property due to the value of the property involved. Quitclaim deed forms are a common way to transfer property, but don’t include the same warranty of deed as in a warranty deed. The interest in the property being transferred isn’t guaranteed to be free from third party claims. A quit claim deed is often used to transfer land title in cases of divorce or between family members when there isn’t doubt regarding ownership or liens. Quit claims are often used to simply add or delete a name from a deed or put real estate into an LLC or trust. The grantor doesn’t warranty clear title in a quitclaim deed and conveys only the interest in the property held. When is a warranty deed used? Warranty deeds are a popular form to transfer real estate title. The real property title described is also guaranteed not have claims on the real estate, such as back taxes or liens. A warranty deed is a property deed that says the grantor has an interest in the land that is held with clear title. In some states, it may be called a grant deed or deed of warranty. Is how to quit claim deed different from other deed forms? Sometimes people mistakenly call it a quick claim form and assume it is a faster way to deed property. However, the procedure to quitclaim property is the same as for a warranty deed, deed in lieu of foreclosure, etc.. Quit claim deeds need to be signed by the grantor, must be notarized, and are subject to the same recording requirements. 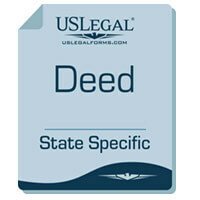 When is a deed in lieu used? Deed in lieu forms, also called a deed in lieu of foreclosure, are often used in negotiations with mortgage lenders when the owner is facing foreclosure. Basically, the debtor agrees to transfer the land back to the lender in exchange for not bringing foreclosure proceedings.